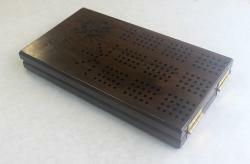 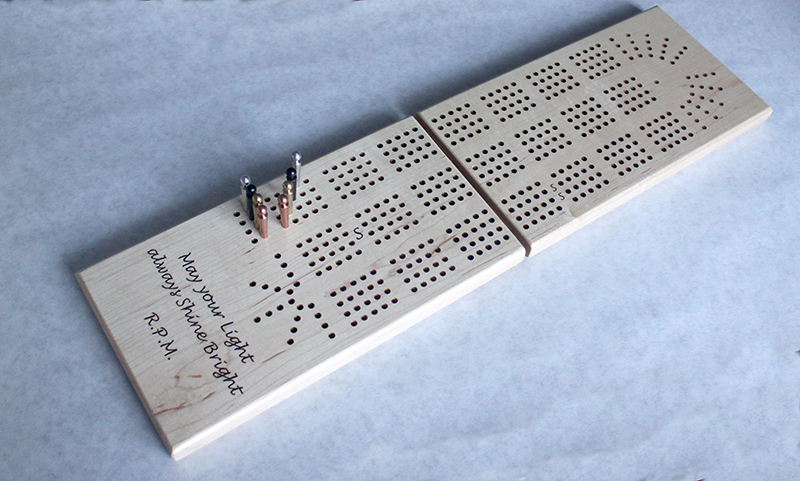 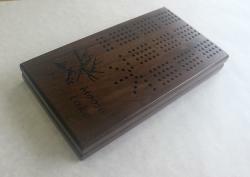 A large-hole folding engraved four track continuous board in a range of wood species. This engraved board measures 6.5" by 23.5" when open. It features four continuous tracks, with room for engraving below. 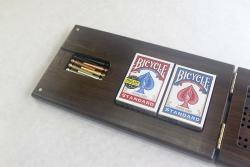 It comes with eight giant metal pegs, which live inside in a pocket with a sliding brass plate. And it holds two decks of cards!